The amount of time before new orders for the 16GB version of the Nexus 4 will be fulfilled is increasing rapidly. After going back up for sale on Tuesday, the estimated ship date had gone from “1-2 weeks” to “3-4” weeks in a matter of hours. By the following morning, it had jumped again to “4-5 weeks.” Here we are two days later, and the new estimated ship date for the 16GB version sits at 6-7 weeks. 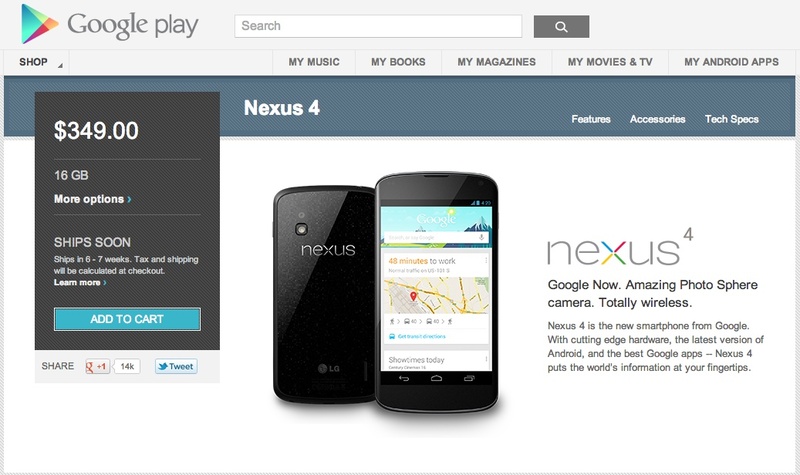 So if you planned to purchase a Nexus 4 at either 8GB or 16GB, you won’t see it until 2013.